The seeds for Chris Cook's rise from nothing to a state of extreme poverty were sown during his school days in the early seventies, with the discovery that his ability to show films on the school projector and lighting shows provided an escape from lessons. The teaching staff were apparently unable to thread a Bell and Howell or fix the state-of-the-art dimming system - twelve ways of Junior 8. Chris was then asked to install the theatre lighting in a disused church and set about the task with an enthusiasm unhampered by lack of tools or knowledge, a pattern that he was set to repeat for the next 30 years. Having installed the lighting he became the part-time chief electrician, lighting numerous professional and semi-professional companies and for the next ten years returning for the once-a-month rock events. After leaving college a degree in scientific photography awaited, however a life photographing bullets in flight seemed an even less sensible career than lighting. So he applied to the University of Lighting in Convent Garden, or Theatre Projects as it was then known. Here he was placed in the lighting effects department and increased his knowledge (mainly of chess) as he and the effects manager idled away many long hours, now and again sorting out Patt 252 disks, the legendary tubular ripple and the nightmare that was the Strand colour wheel. Sensing that there might be more to life than retouching 'fleecy clouds' glass disks, Chris joined the then newly formed TBA Lighting (total staff of three), judging that as TBA's new equipment was in better condition than that of TP's it would be less work to fix. The job also provided a wage increase of £5.00 per week. "Being the only member of staff who knew which end of the soldering iron got hot, I went on to build control and dimming systems," he explains. "I knew slightly more than the other three, which wasn't saying much." Across the next nine years the company grew and a battle of wits prevailed between Chris and MD Tim Burnham. "Tim kept trying to fire me for not building what he wanted," says Chris. "Actually we did build what he wanted but in my humble opinion it was better and safer." In due course TBA was sold and after nine years Chris was given early parole for good behaviour and decided to set up on his own. The name of the company came about by accident. 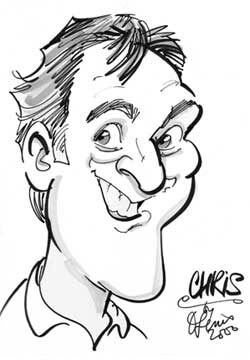 Calling up old clients of TBA was difficult as saying 'hello this is Chris' normally resulted in 'Chris who?' But 'Chris ex. TBA' gained a more favourable response. The Ex became simply X and XTBA was born. XTBA's best client in those days was Lee Lighting, who had just acquired Colortran. Lee's accounts department became bored paying the ever increasing number of XTBA invoices so Colortran offered Chris the job of Product Manger for Controls and Dimming, mainly on the basis that he was the last man standing during the extended interview in the local pub. Meantime XTBA was put on hold. However, after two years Colortran moved to Manchester so Chris decided to take XTBA out of mothballs to concentrate on DMX512 products. "It seemed a good idea at the time," he says. Initially, as an agent for LSC and Goddard Design?s DMXter, Chris was frequently asked to build DMX equipment so XTBA fell into manufacturing by accident. "I couldn't get what I wanted to sell so I had to build it myself, which is probably how many people in our industry got started." For the last twenty seven years XTBA has built up its range of DMX and DALI products. Explains Chris: "We don't do desks, dimmers or wiggly lights - we just do the bits in-between. So I guess XTBA is a niche in a niche of a small market." When not bashing software Chris can sometimes be found playing 'dyslexic fingered piano' and bass guitar with his brother in the 'the Elderly Brothers' - and designing products for his other company Lightwire Communications which makes mobile phone accessories.